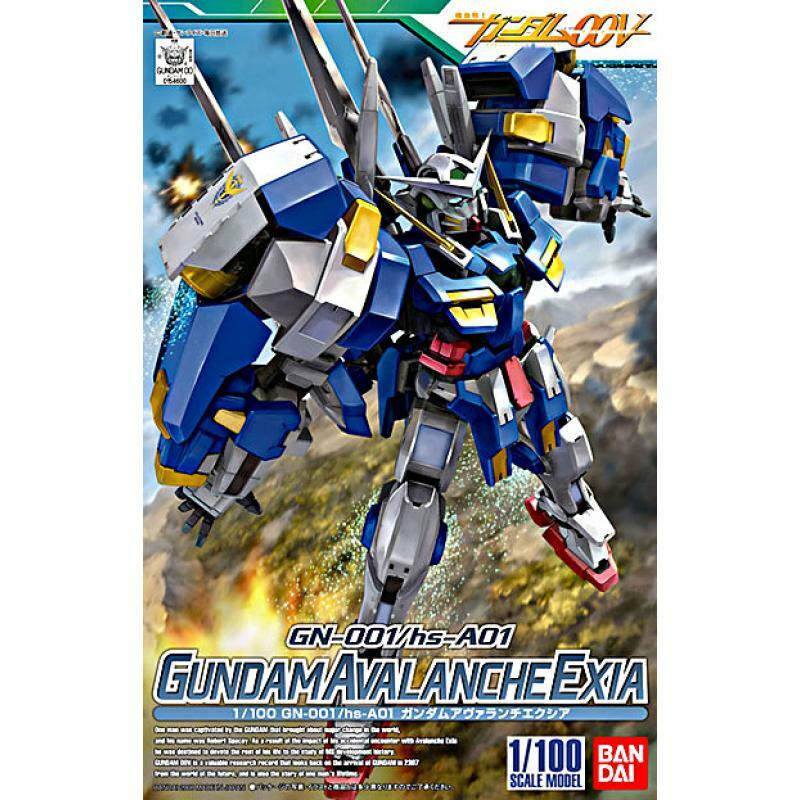 Gundam Avalanche Exia made its debut in the "Mobile Suit Gundam 00V" side story serialized in Hobby Japan magazine, and fans can now build the powerful mech with this sharp snap-fit model kit from Bandai! 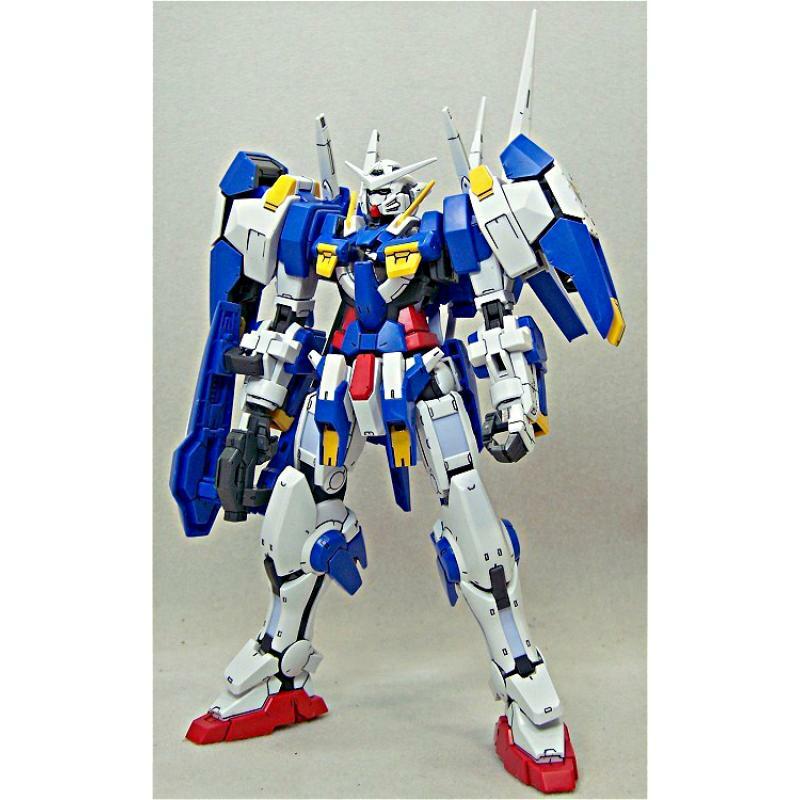 Molded in color and carefully detailed after mecha designer Kanetake Ebikawa's drawings, the Mobile Suit is equipped with its high-mobility hs-A01 Avalanche along with its Seven Sword System. 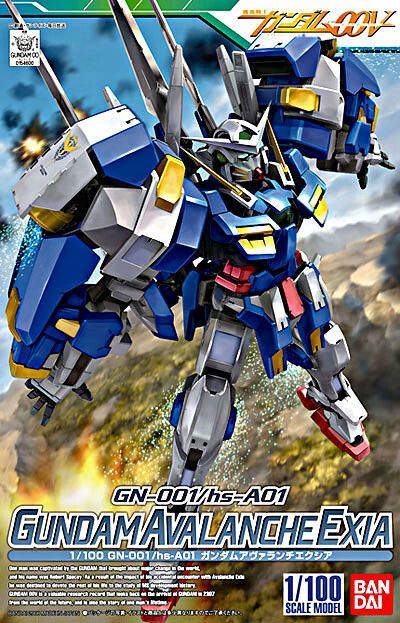 Its armament includes a GN Sword capable of switching into rifle mode, two GN beam daggers, two GN beam sabers, a GN long blade, and a GN short blade. 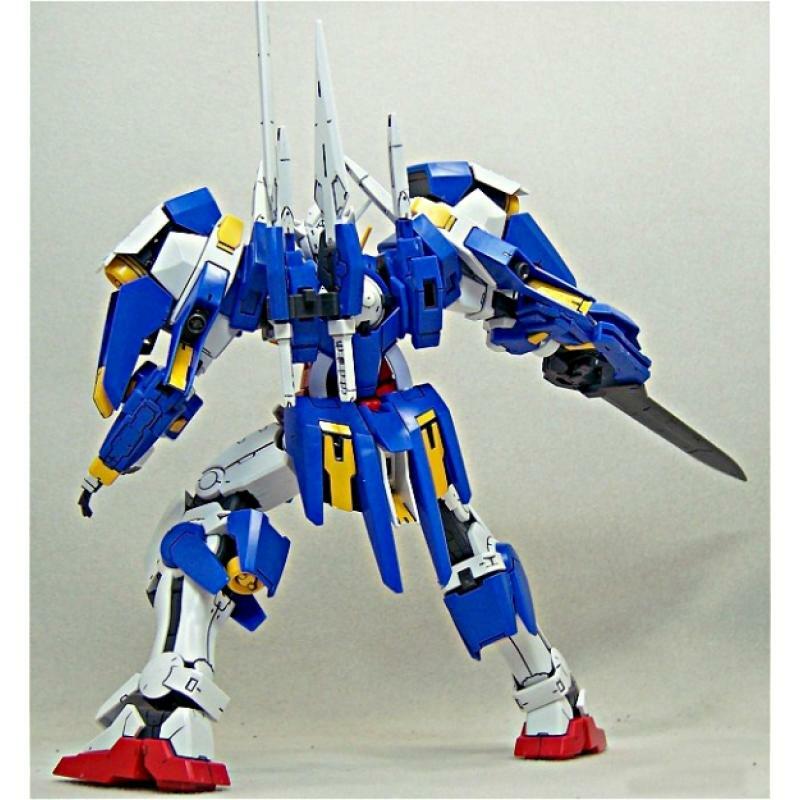 The mech features sharp mechanical detailing throughout, and will be fully articulated with polycap joints upon completion. 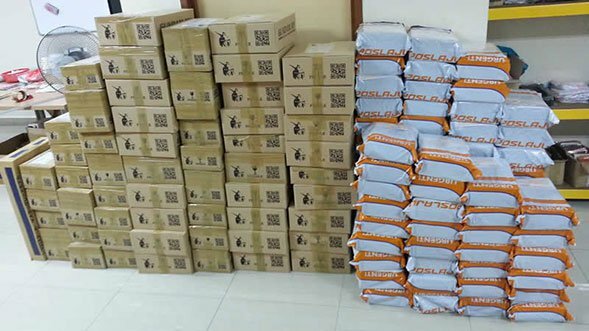 Foil stickers and marking stickers are included. 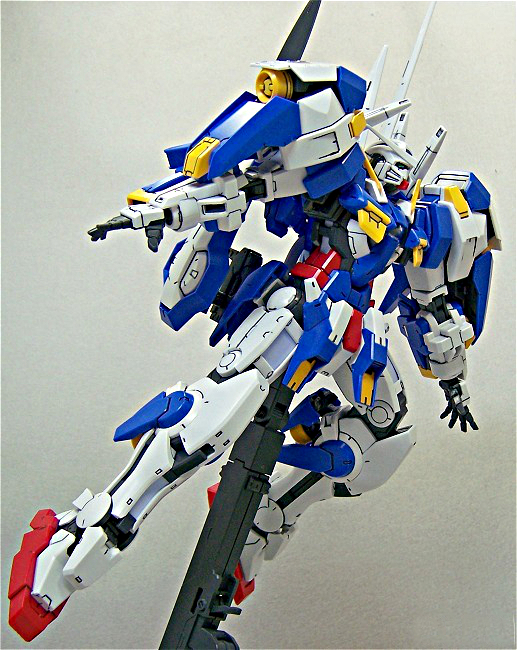 Taken from Robert Spacey's narrative on GN-001/hs-A01 Gundam Avalanche Exia first encounter in Gundam 00V. As a young historiographer, I had the opportunity to accompany a UN inspection of the Union Army. At that time the Union military was faced with the problem of increasing its armed presence in South America and I went there to collect data out of purely scientific interest. It was then that it appeared. I was engaged in a conversation with the inspection team's pilot Deborah Galiena, when an alarm sounded at the base. Right after that, Gundam Avalanche Exia appeared in the sky. The Union army immediately launched a squadron of SVMS-01 Union Flag. 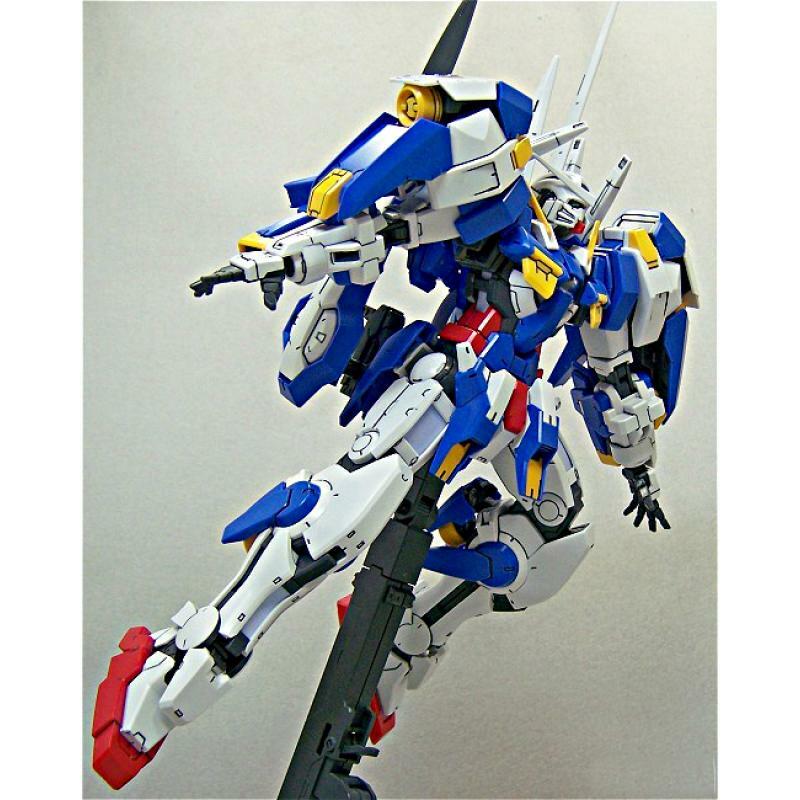 However, the Flags weren't superior to the Avalanche Exia in aerial maneuverability, and were torn apart by the Avalanche Exia. The battle was over very quickly. GN Beam Saber-The beam saber is a hilt with the ability to activate beam blade by generating a positron field filled with GN Particles.While they are generally stronger than GN solid blades, one disadvantage is their performance varies depending on the surrounding atmospheric conditions. 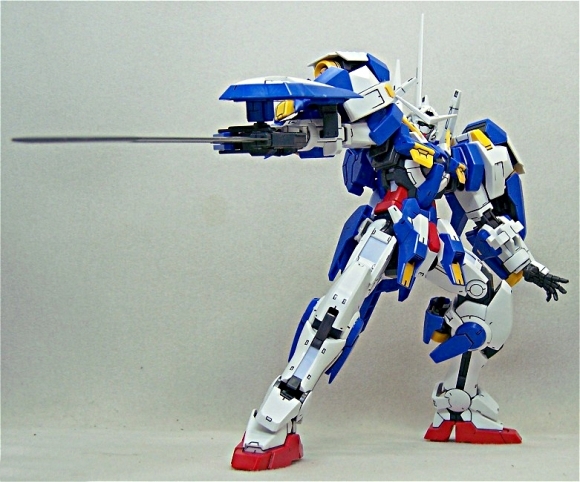 GN Beam Dagger-Possesses the same power output as the beam saber but was designed to generate a smaller and more concentrated beam that is harder to diffuse. Setsuna has made a habit of throwing them while in combat. This weapon type became obsolete in the future as the ability to manipulate beam saber length blades was achieved. Mounted on the back of the shoulders. The beam saber is a hilt with the ability to activate beam blade by generating a positron field filled with GN Particles. While they are generally stronger than GN solid blades, one disadvantage is their performance varies depending on the surrounding atmospheric conditions. GN Blades-Named as GN Long Blade and GN Short Blade respectively. These are Exia's customized solid swords that differ in size from the main GN Sword and took the longest time in Exia's arsenal to develop. 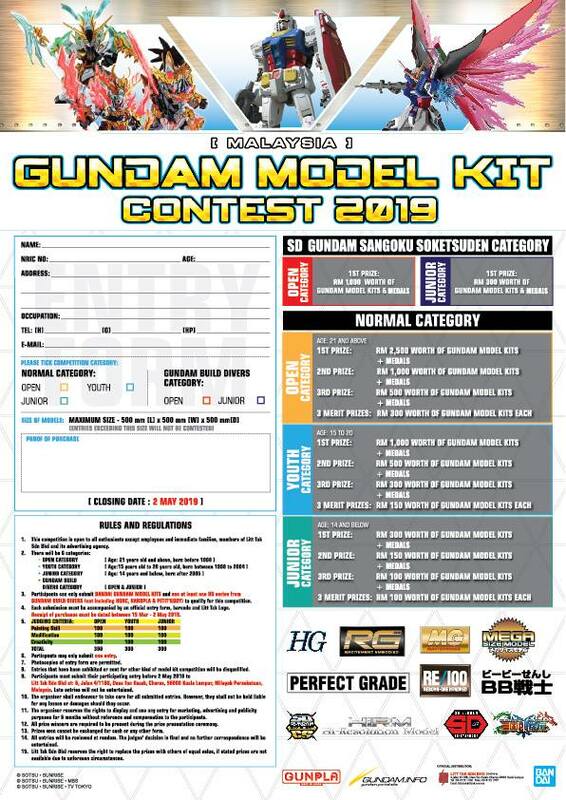 Because the GN Sword has difficulty doing damage without a certain amount of swing and space due to it's size, these were designed in order to give the Exia solid blades that can be used in a variety of situations that the GN Sword has difficulty with. It possess the ability to cut through 2 meters of conventional E-Carbon armor. 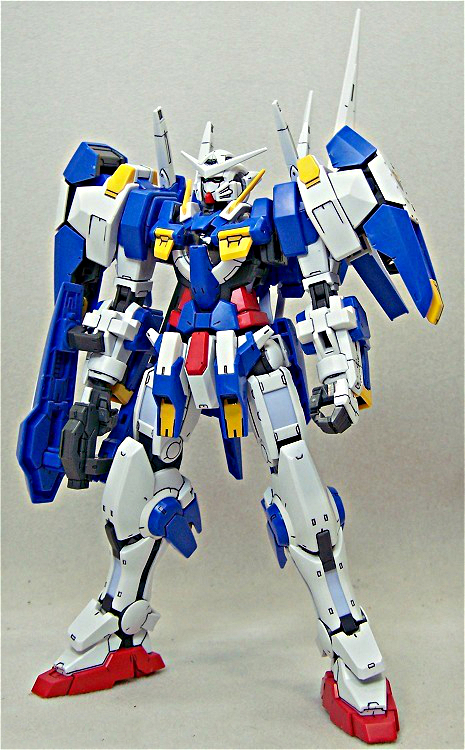 GN Shield-A shield mounted on Exia's left arm. It possesses an "expansion" mode where the left and right blue sections move outwards and increase the defense area the shield covers, but the drawbacks of this mode are increased particle consumption as well as a decrease in the overall defense property of the shield due to the increased area that GN Field element covers. 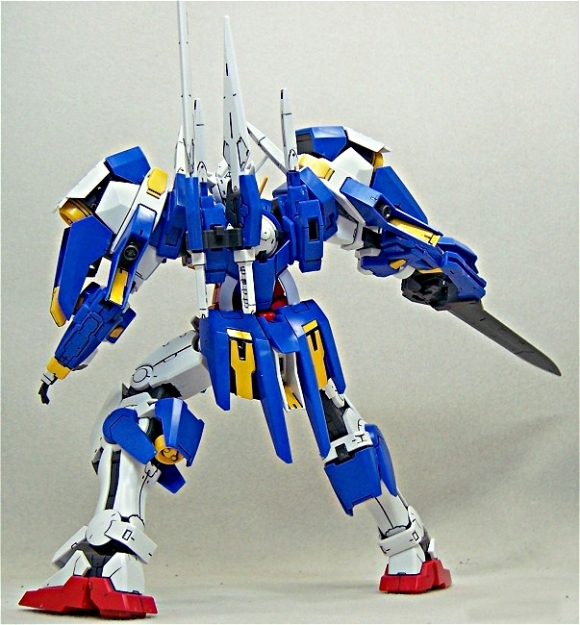 GN Sword-A solid GN blade attached to a miniature forearm shield, which serves as the Exia's primary weapon, and the largest blade amongst the Seven Swords. It works by applying a GN Field over the solid sword which greatly increases the sharpness and cutting power. The blade can be vertically folded along the forearm, exposing the muzzle of a beam rifle. GN Vulcan-These weapons are smaller cousins to the GN Beam weapon. Typically locations include head and wrist mounted system, both ensuring a wide field of fire. Purely secondary weapons, they are used to engage soft targets, and in a defensive capacity. Their anti-mobile suit capability is virtually nil, especially against another GN powered unit. 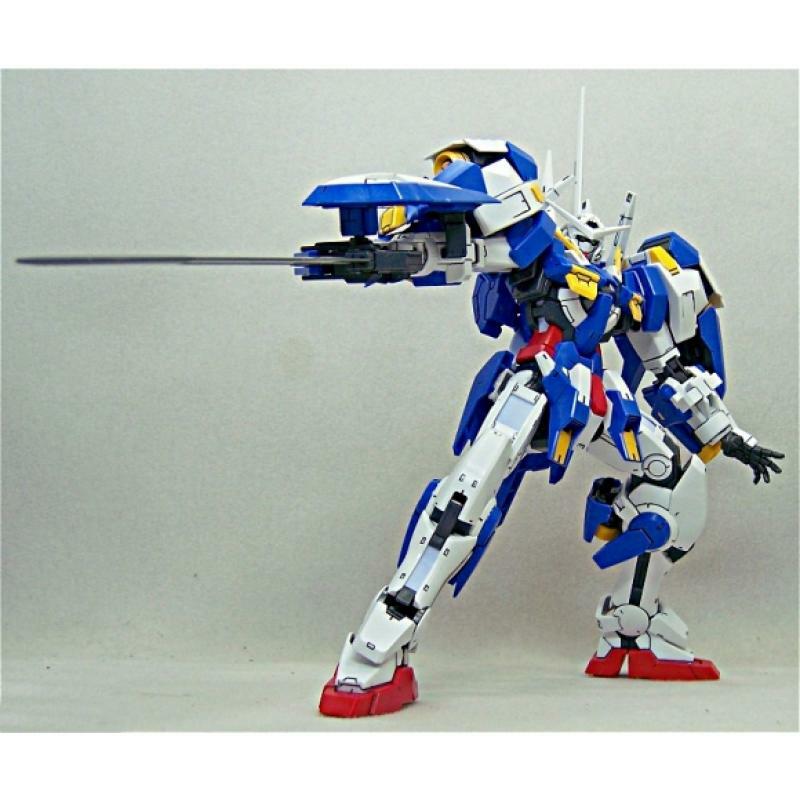 While there is no meaningful chance of penetrating another mobile suits armor, there is always a chance that a lucky round could damage joints or sensors. They can also be used in a "spray and pray" fashion once an enemy's armor has been breached, exposing their tender innards. So despite their low power, GN Vulcans can still be a threat no experienced pilot would ignore. While low damage potential limits their offensive utility, the trade off is a high rate of fire. This is very useful when engaging small, fast, maneuverable targets such as GN Fangs and missiles.